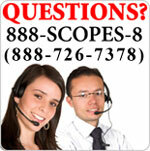 For even more advanced digital microscopes, see The Microscope Depot’s SD Series! This is a professional model that meets the demands of university and laboratory use. Superb optical clarity and reliable mechanical engineering measure years of top performance. 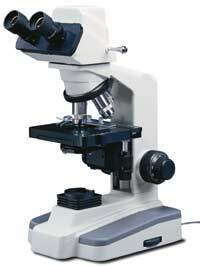 The microscope is fully functional, independent of the camera application. Eyepieces: WF10x/18mm, pointer standard in one eyepiece, with rubber eyepiece cups. Permits simultaneous hook-up to computer and video monitor, or to projector with supplied USB, S and RCA cables. Easy-to-use Images Plus software software included for capturing microscope images and movies, labeling, measuring, storing, and emailing. 30° inclined viewing head with dual diopters and interpupillary adjustment 54mm to 76mm. 3-position sliding rod directs light 100% to binocular eyepieces, or 100% to camera, or 70% to camera and 30% to eyepieces. Quad objective turret is ball bearing mounted for smooth, precise positioning of objectives, mounted in reverse position to facilitate ease in changing slides. Objective lenses: DIN achromatic, 4x (0.10 N.A. ), 10x (0.25 N.A. ), 40xR (.65 N.A. ), 100xR (1.25 N.A.) oil immersion. Large 140mm wide by 135mm deep stage surface, with built-in low profile, ball-bearing mounted mechanical specimen holder with low-position coaxial controls, 70mm (x) by 50mm (y) movement with 0.1mm graduations. Focusing: Coaxial coarse and fine focus, coarse has tension adjustment, fine is graduated. Condenser: 1.25 N.A. Abbe condenser has rack & pinion focusing, iris diaphragm, swing-out filter holder with blue, green, yellow filters. (S-05707) with variable rheostat control. 12VDC power converter operates on 100v-240v 50H/60H current, without need of additional transformer. 2/5 amp time delay fuse. Optional Phase Contrast Kit (S-05130) can be added if you would like both brightfield and phase lenses. Kit includes: Centering telescope, PLAN/Phase 10X, 20X, 40X, 100xR (oil immersion) objectives, phase turret condenser assembly including one brightfield position, blue & green filters, and a storage case (S-05130 only). Optional Microscope Carrying Case available (S-05400). Anodized aluminum with fabric lining, accessory pockets, Velcro straps and keyed lock. Frame: Cast aluminum with gray finish. Base dimensions: 185mm wide by 235mm deep. Packed in molded styrofoam with dustcover, software CD, instruction brochure.